Many people underestimate the role of a pharmacist in the healthcare field. Because of this, they do not talk to a pharmacist during a pharmacy visit even if they did not understand the purpose of their medication. It is possible even if people spent time on choosing a pharmacy that works the best for them. However, the pharmacist is a professional, who can save your health, time, money and possibly life. In the United States, about two billion prescriptions are taken improperly. From non-harm medications, that have no side effects to very effective drugs, which can harm if used in any other way than should be. In case if a patient wants to maximize the benefit from treatment, he or she can make the pharmacist work with their healthcare provider. Need to know, that pharmacists have special education and the license that allows them to keep their customers informed about their prescriptions. On top of that, pharmacists continue their education even after their graduation and must pass licensing exams annually. So, what should you tell your pharmacist in order to get the most effective benefit from your prescriptions and avoid side effects? Tell your pharmacist what you take; non-prescription medications (which can be bought over-the-counter), supplement, vitamins etc. Explain, why you take these medications, for what health condition. Allergic reactions or any side effects; tell a pharmacist if you have ever had any allergic reactions to medications or experienced side effects. It will help in choosing the safest option for you. Tell if you are pregnant or even could be; It can also affect a pharmacist’s choice of medication for you. This information will help your pharmacist to understand if your drug therapy needs some correction or not. A lack of communication with a pharmacist may lead to very serious consequences. It is not only about minor side effects from medications, which patient did not know about. Issues, related to medications are responsible for about 5-10% of all hospital admissions. These numbers are terrifying, considering the number of people who take medications: about 23 million people who 65 years and older and about 13 million children who take prescribed medications in any two-week period. Not knowing patient’s rights is another reason why patients do not try to use help from a pharmacist when it comes to their medications management. You can always find your Pharmacy Patients Bill of Rights online or at the pharmacy. The State Board of Pharmacy regulates the operation of pharmacy and pharmacists. In case if a patient’s rights were violated, he or she can contact the State Board of Pharmacy with a complaint and ask to resolve the issue. Investigation and resolving the complaints is not the only function of the State Board of Pharmacy. It also responsible for inspections, licenses all pharmacists and pharmacies in the state, take disciplinary actions, enforces regulation etc. Patient’s should understand the role of the pharmacist in their treatment and not underestimate the professionalism and competence of pharmacists. 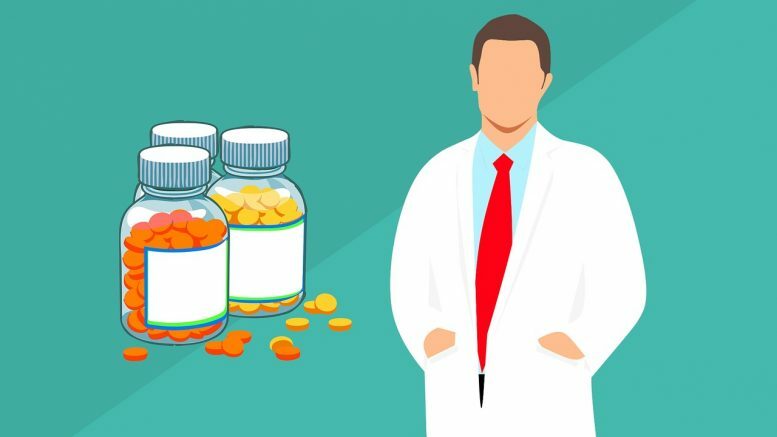 Knowing your rights and understanding how a pharmacist may help with prescribed medications, patients can avoid many adhere effects, improve their compliance, and increase the efficiency of their therapy. Effective communication between a patient and a pharmacist will lead to an effective pharmacist-patient relationship, which will be useful for both of them. Be the first to comment on "Why Should You Talk to Your Pharmacist?"